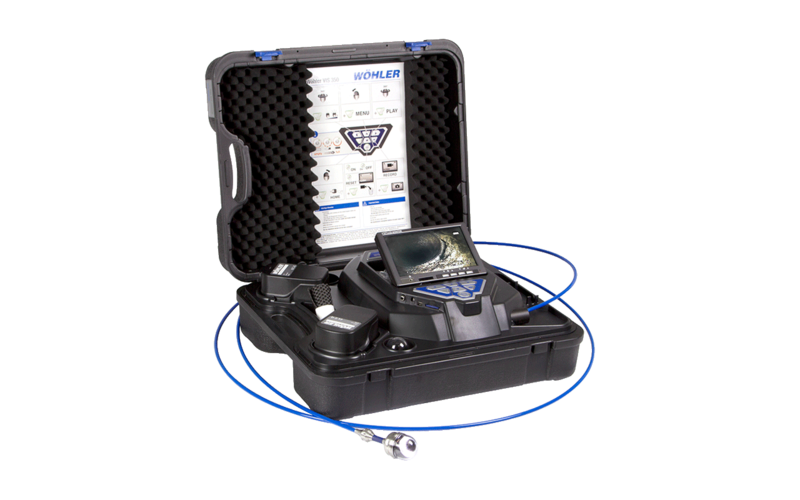 The new camera system “VIS 350” from Wöhler is stored compact and transport-safe in a hard shell case. It consists of a 20 m long push rod with winding, a colour camera head with 40 mm diameter and a large format colour display. This is complemented by the typical Wöhler control panel for easy operation of the camera head: it can be turned 360 degrees, pivoted 180 degrees and features and optimal illumination so the camera can fully inspect the pipe run. Especially practical: after the inspection, the “Home Function” automatically brings the view of the camera back to straight by pushing one button only.